Introducing another fantastic design from our new Perletti collection, the Azteco, guaranteed to keep you looking good as you should. 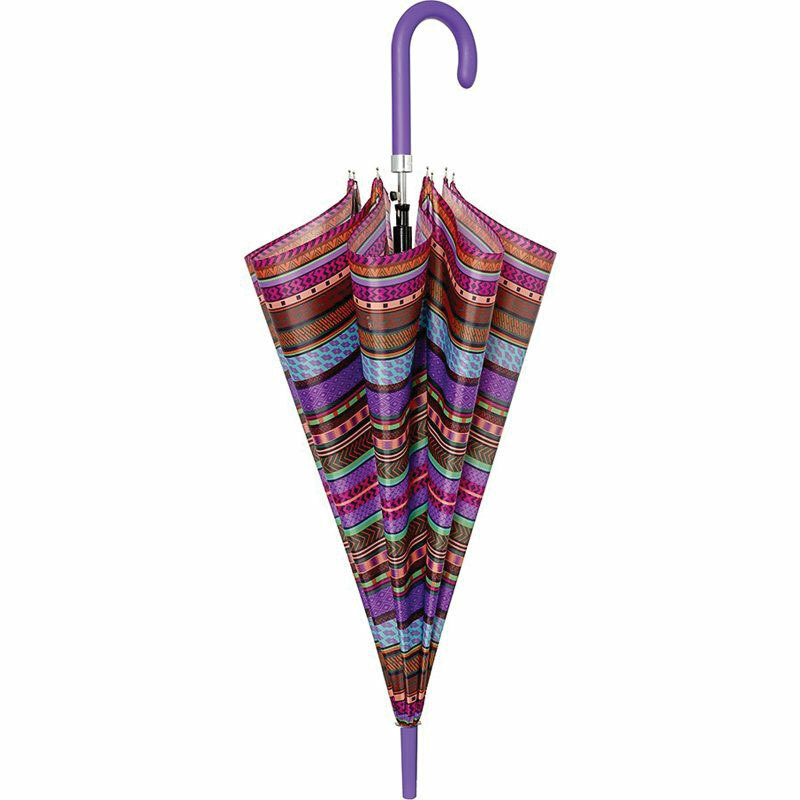 This gorgeous Aztec style umbrella makes a great accessory to any outfit. 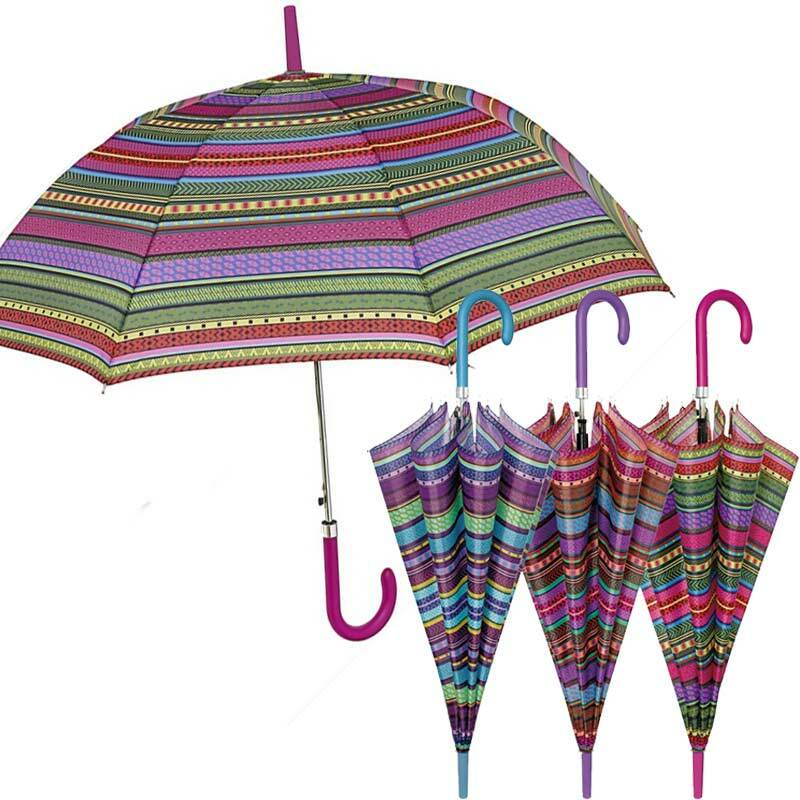 Guaranteed to keep you looking bright whatever the weather. 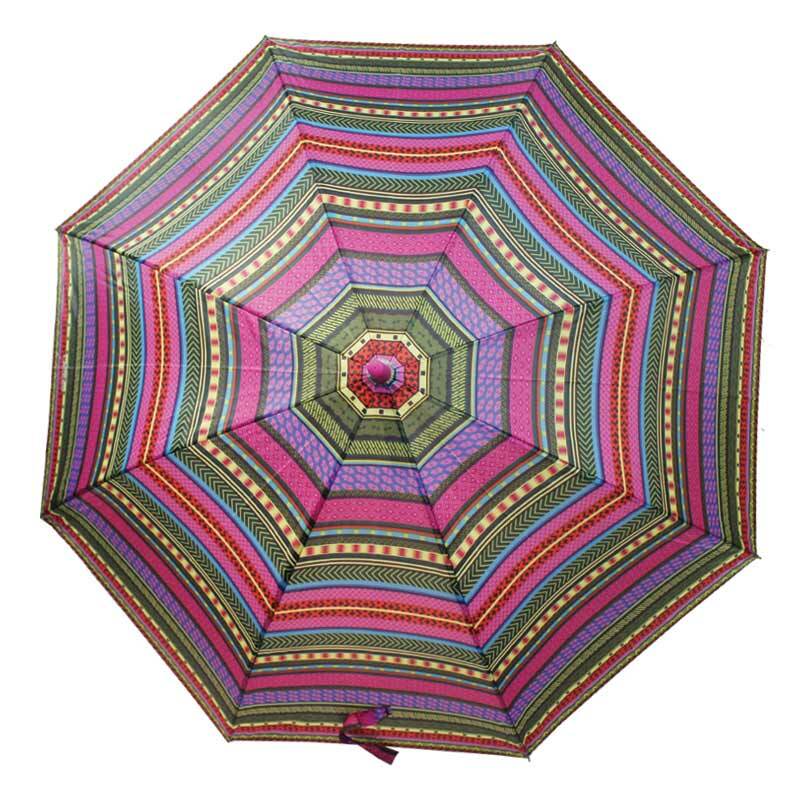 Its hard to explain just how pretty this umbrella really is. On a rainy day you see so many dull darkly coloured umbrellas. 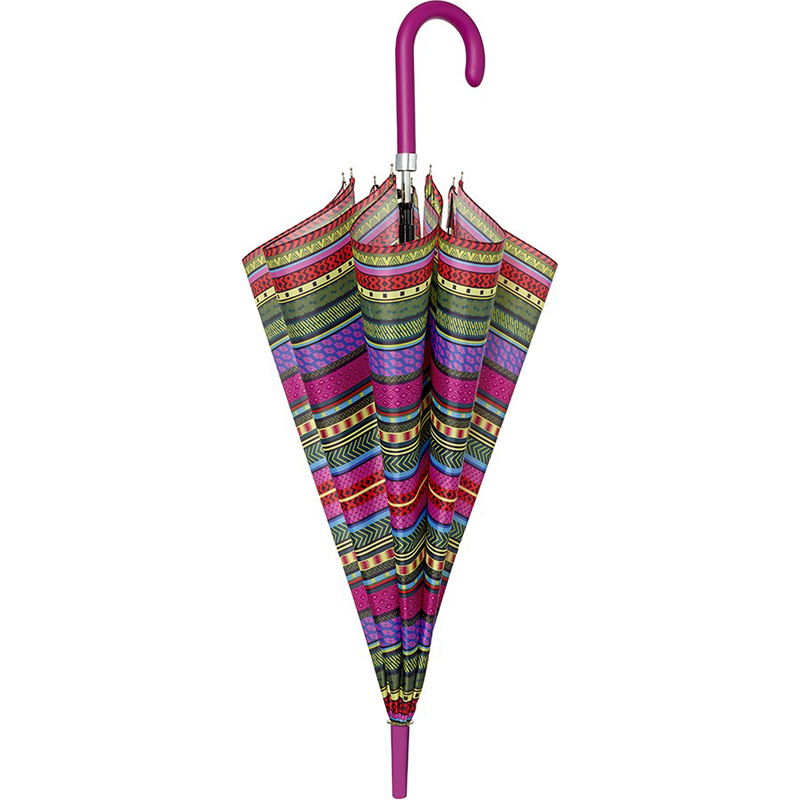 However, the Azteco is like a burst of striking colours bursting through the rain. The only way to really appreciate this little gem of an umbrella is to see for yourself! This stunning design carries an aura of creativity, sophistication and style. 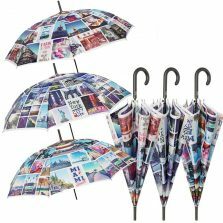 Make sure you stand out in a crowd of dull umbrellas! 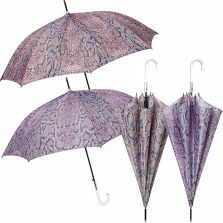 Its unique design takes influence from Latin culture, whilst still retaining a Western feel, with a detailed Aztec style print on the canopy and a beautiful purple trim on both the handle and tip for a lovely on trend finish. 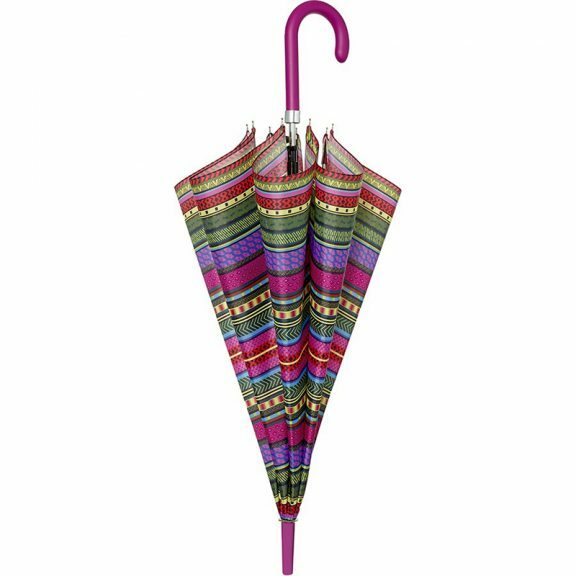 This authentic designer Aztec umbrella features an automatic opening feature so you can shield yourself from the elements with the push of a button. The vibrant canopy is made from 100% polyester and has a generous span of 100 cm when opened. 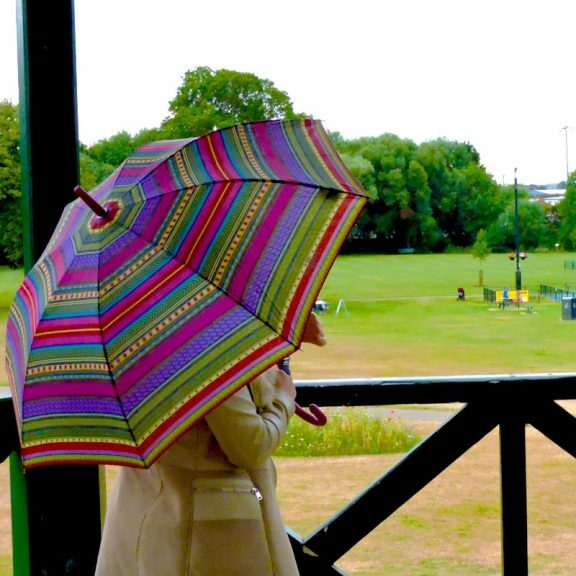 The umbrella’s lightweight, flexible fibreglass frame means you can keep the rain at bay with ease. 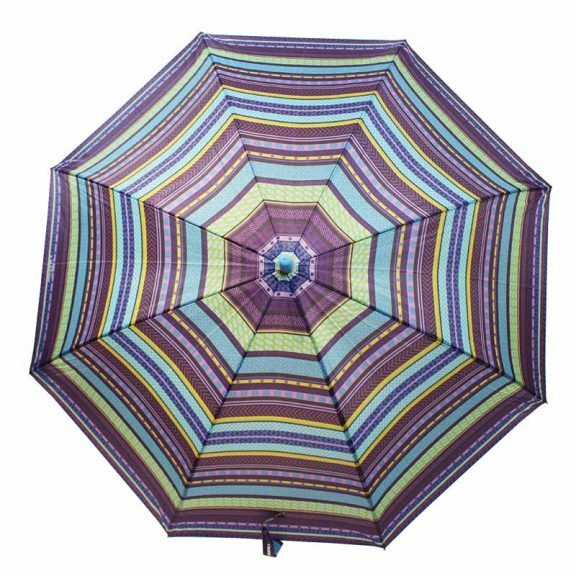 As well as this, the Azteco’s crook handle allows for easy storage, mobility and more, and like every one of our umbrellas, the Azteco will keep you drier than the Sahara in the summer thanks to it’s microfiber hydro-repellent fabric. 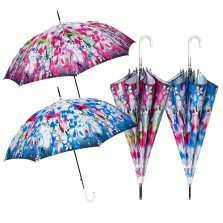 The Azteco comes in three vibrant colours: Pink, Purple and Blue. 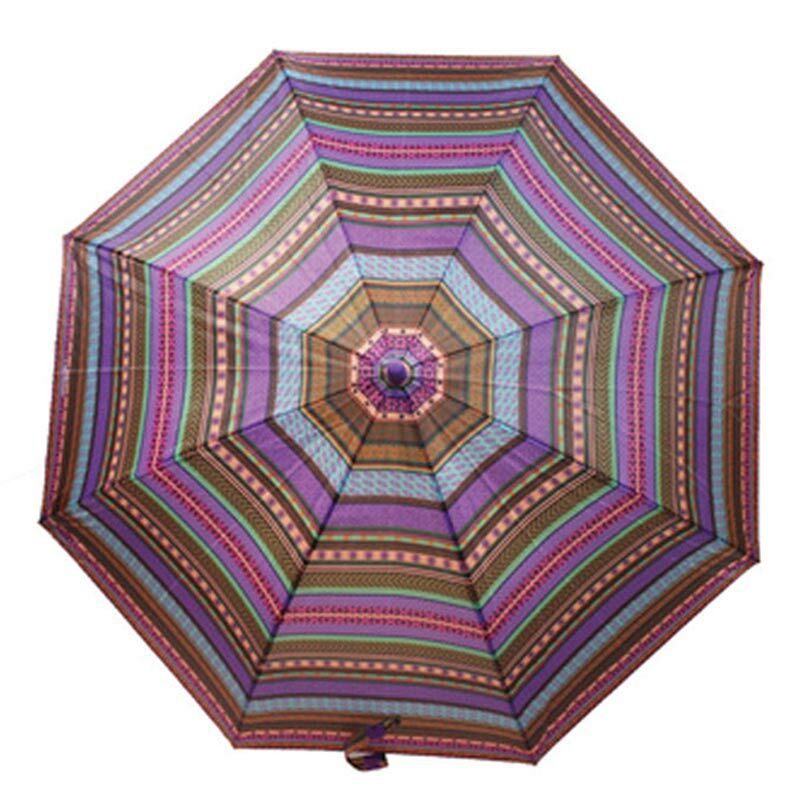 So whether you’re treating yourself or buying a gift, this brolly will surely be a winner. 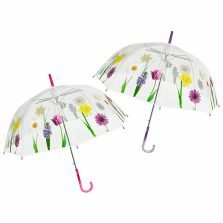 Click and check out the rest of our range of quality Perletti Designer umbrellas!